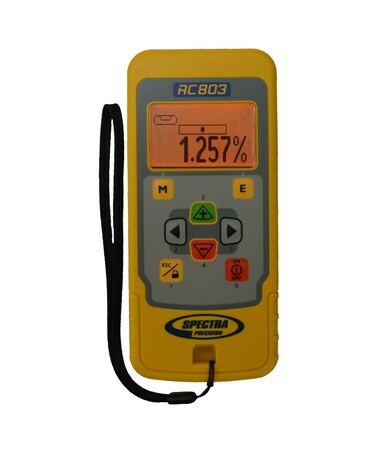 The Spectra IR/Radio Remote Control w/ Hand Loop is the remote control that is compatible with both the Spectra DG613, DG613G and DG813 pipe lasers. It's lightweight, easy-to-use, and comes with a hand strap to help avoid unwanted drops. It has a large, clear LCD. Particularly advantageous, is the ability to access all of the laser's functions from the remote itself. 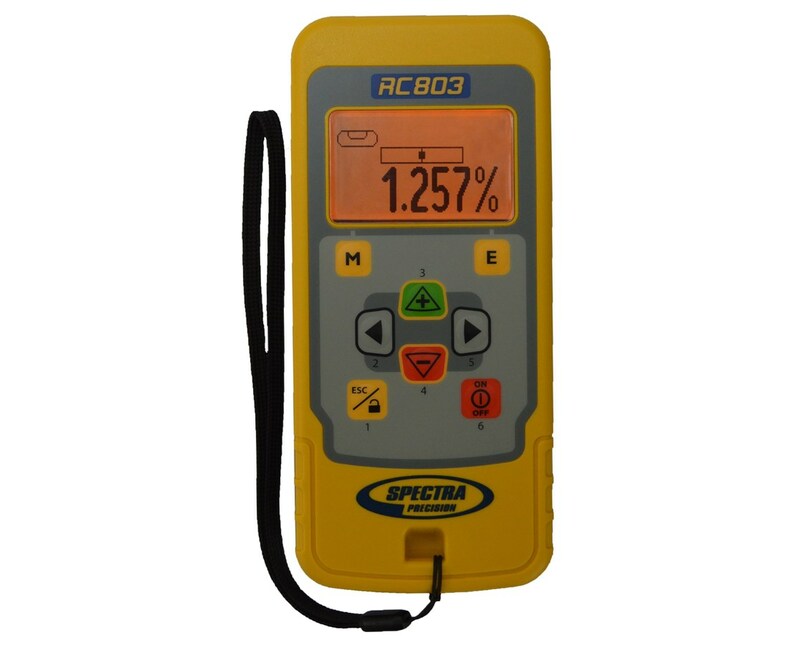 This pipe laser remote control from Spectra has a long operating life of 130 hours. Powered by 2 AA batteries.